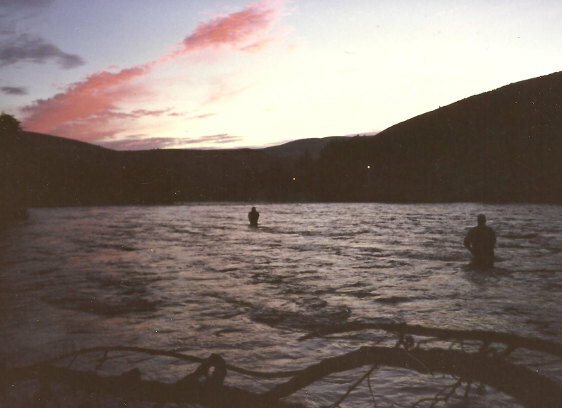 Fly fishing for Steelhead at dusk. A friend of mine and I were just getting ready to fish a popular riffle on the Deschutes River. The conditions were perfect--no wind, good water and a run all to ourselves. As we started to put on our waders, a lone fisherman walked right past us without saying a word and headed for our water. We were dumbfounded and I said, “Hey, buddy. What do you think you are you doing? This is our water.” He looked at us with a smirk and said, “Ya snooze, ya lose!" Well, that created a quick confrontation, and a heated argument commenced that ended up with a variety of expletives. The guy paused for a moment and then he left in a huff realizing that the odds were against him. Later, a couple of his buddies approached us. They politely apologized for his actions and said they had set him straight regarding courtesy on the river. There are ways to approach a fellow fly fisher without getting into an argument. If you see one or two people fishing a run, a good approach would be ask them if you could fish behind them. 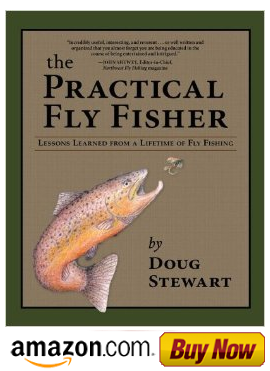 Some fly fishers will even invite you to fish with them or follow them down the run. What makes a Steelhead Fly Fisher?